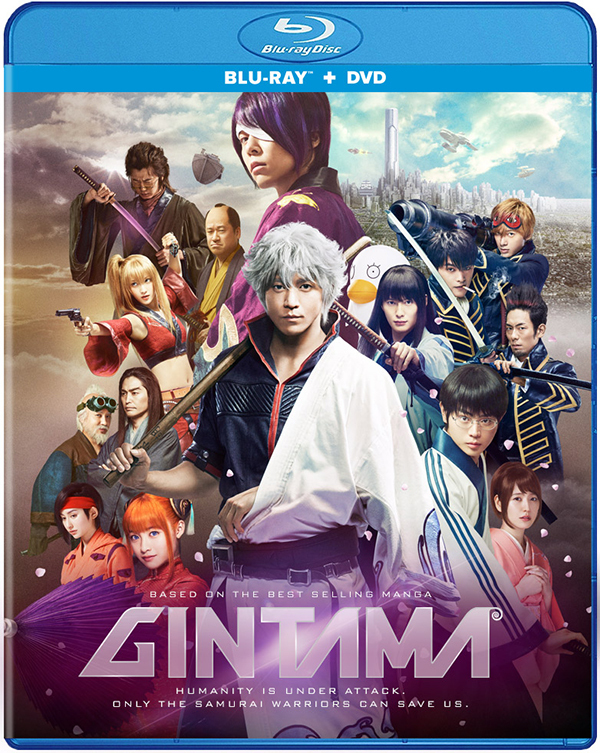 GINTAMA, the visually spectacular feature film based on the long-running manga, debuts on digital, Blu-ray™ and DVD March 6 from Well Go USA Entertainment. The live-action film adaptation of the blockbuster manga is set in an era where aliens have invaded and taken over feudal Tokyo, and a young samurai finds work however he can. 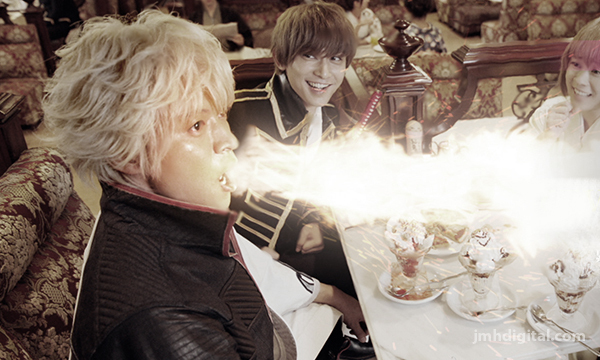 Written and directed by Yûichi Fukuda (Psychic Kusuo), GINTAMA stars Masaki Suda, Kanna Hashimoto, Yuya Yagira, Hirofumi Arai, Ryo Yoshizawa, Akari Hayami, Murotsuyoshi, Masami Nagasawa, Masaki Okada, Jiro Sato, Nanao Ken Yasuda, with Kankuro Nakamura, and Tsuyoshi Domoto. Based on the best-selling action comedy manga by Hideaki Sorachi, GINTAMA takes place in an alternate Edo-period Japan, where an Alien race has taken control, forcing Samurai to lay down their swords. Once feared as the "White Demon," former samurai Gintoki Sakata now works as an everyday handyman--until a master swordsman tasks Gintoki and his friends with finding the cursed sword Benizakura to keep it from falling into the wrong hands. Packed with the sword-swinging sci-fi action and offbeat humor that have made the manga a classic, GINTAMA is bound to delight both fans and anyone looking for a journey to a visually-stunning universe where fantastical action lurks just around every corner.